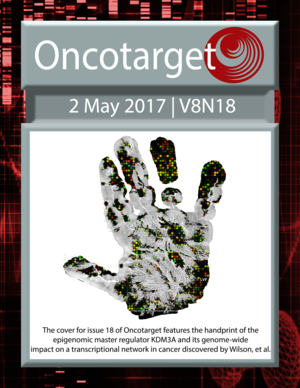 The cover for issue 18 of Oncotarget features the handprint of the epigenomic master regulator KDM3A and its genome-wideimpact on a transcriptional network in cancer discovered by Wilson et al. 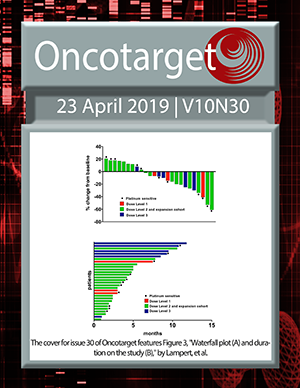 The editorial on precision epigenomics discusses hopes and challenges for cancer treatments. Image by Systems Biology and Cancer Metabolism Laboratory, Fabian V. Filipp, University of California, Merced.